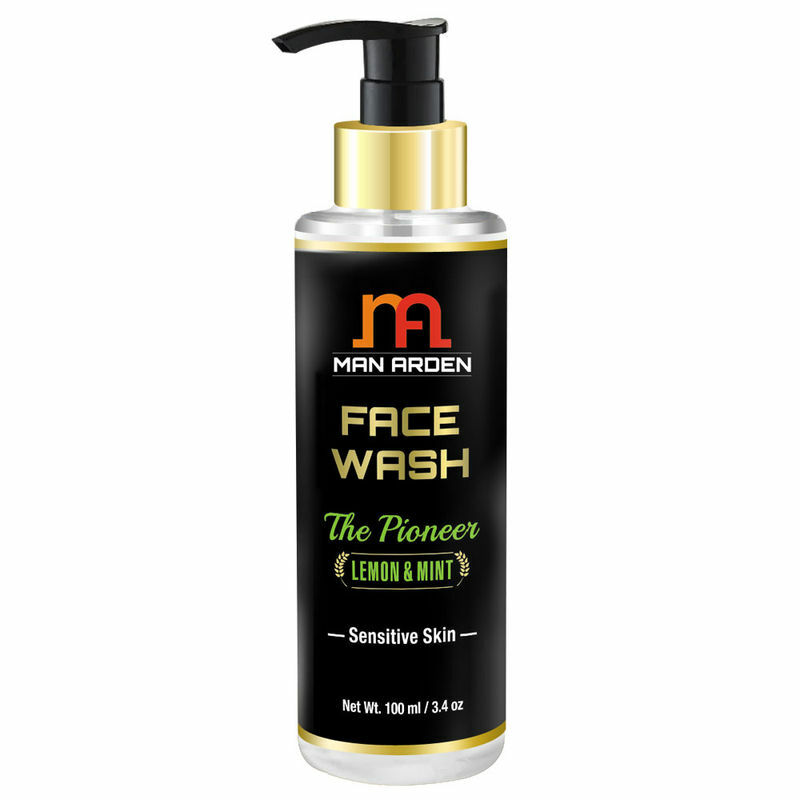 with Aloe vera, Lemon, Cucumber and Neem extracts, Man Arden's purifying cleanser cleans deeply to effectively wash away daily build-up-like dirt, oil and impurities deep in pores. Your complexion looks fresh and healthy. After washing, it will leave your skin looking and feeling soft, smooth and refreshed. Skin feels smooth and cared for with cleansing from Man Arden Men Care. Additional Information: Man Arden is the globe's leading professional male cosmetic house that aims to provide good quality branded products. It caters to the fashion needs of men's cosmetics.